An assessment of any additional work or parts required. Rebuild of the carburettor, including resetting the float height and accelerator pump injection quantity. All prices are plus VAT if applicable. 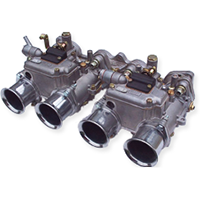 We can service most carburettors including SU, Zenith, Solex, Pierburg etc. Please contact us to arrange this service and to find out the current turn – around time, normally around 3 weeks. Damaged items, like screws & bolts heads will only be replaced if deemed un-serviceable. Return postage will be charged as an extra at our normal postage rate. We can also arrange for collection from a UK business address for £15 + vat.